Studies show that staging your home works. Here’s what one pro had to say. If you’re thinking of selling your home you may be wondering how to best show your home so it sells quickly and for the price you want. Your realtor may have already mentioned “staging” your home – making your home appealing to the broadest audience possible. Is hiring a stager worth it? The Real Estate Staging Association studied 89 homes that were previously on the market not staged. These 89 homes sat on the market, on average, for 166 days before the homeowners gave up and called in a professional home stager. Those same homes were staged and received their first offer, on average, 32 days after being professionally staged; 81% less time on the market. Nine of these homes had multiple offers. We recently asked a professional home stager, Helen Bartlett, from Refined Interior Staging Solutionszfbzcuyqsybrvyararsyawfcfawwursr, to learn more about hiring a home stager. 1. What are some of the reasons why homeowners don’t use a professional home stager? They think they can’t afford to hire a home stager. They may assume home stagers charge what designers charge and in most cases, it’s less. The cost of staging can accommodate many budgets from a simple consultation to full house staging bring in partial pieces or complete rooms. They think their homes are already beautifully decorated, either by themselves or professionally done so therefore, there is no need for a stager. The fact of the matter is that even decorated homes need staging for the mere fact that just as going into many model homes, many people are focused on the decorating and not necessarily the house. With decorating, the focus is on the “stuff” and with home staging the focus in actually on the house and the features it has. They think buyers can just look past any imperfections and flaws. Today’s buyer is much more sophisticated as compared to in the past. With all the access to information on shows and DIY classes, the internet, design ideas, etc. buyers are just expecting more than in the past and if a seller isn’t willing to make changes, a buyer will quickly move to the next property that may be more move in ready. They never staged their home before, and it sold….so their thinking is it will again. And for the same reasons stated above, buyers are more sophisticated and are expecting more. They don’t want to put any more money into their home because they’re selling it. 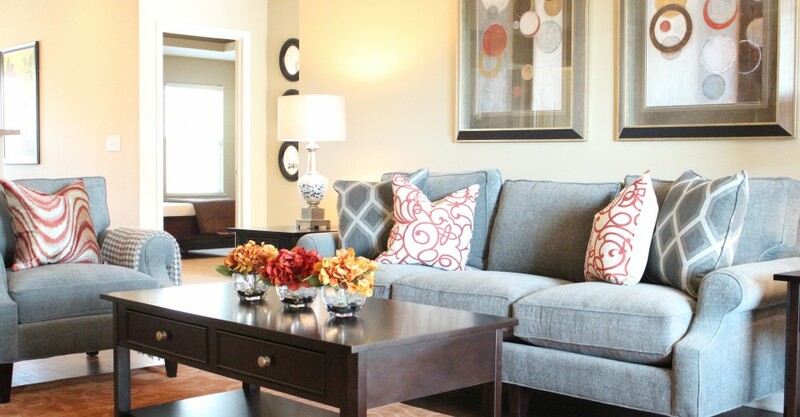 The ROI on the investment of home staging is to average a sales price that is 7-10% more than a non-staged home. Also, staged properties sell 50-80% faster than non-staged homes eliminating several potential months of carrying costs. This all factors into the cost of not staging a home and defeats the purpose of not putting money into their current home. If the house is vacant, a homeowner will think the space looks bigger. The truth is that a room always looks larger with furniture in it, furniture to scale. It also gives a buyer a perspective of how their furniture will fit and look and how to arrange the space. 2. How often do you simply de-clutter a home versus bring in new items versus do minor home improvement projects (like painting)? As far as de-cluttering and bringing new furnishings into a space, with an owner occupied house, I always prefer to use the owners’ furnishings if I can make them work. Exceptions would be worn furnishings, dated or distracting furnishings. Otherwise, I try to honor how they’ve lived in their home and simply edit their space. Many times after living in a house for years, there is usually too much furniture and too many accessories. Simply editing the space and eliminating things that are not necessary, can clear the space enough to see the features of the house. This along with creating the best traffic flow and rearranging or moving things from room to room for a better fit, can make a huge difference. This helps to keep the cost down for the homeowner as well using their things. Painting is always recommended when the paint is too specific, shows wear and tear or a dated color. Painting is one of the least expensive ways to make a huge impact on the way a space looks. Neutral colors are always recommended because everyone can live with neutrals. If the color is too bold or bright, or too dark, a buyer will see that as an objection and not even want to consider painting it without having it professionally done, and in their minds, that’s an additional expense and inconvenience of buying that house. 3. 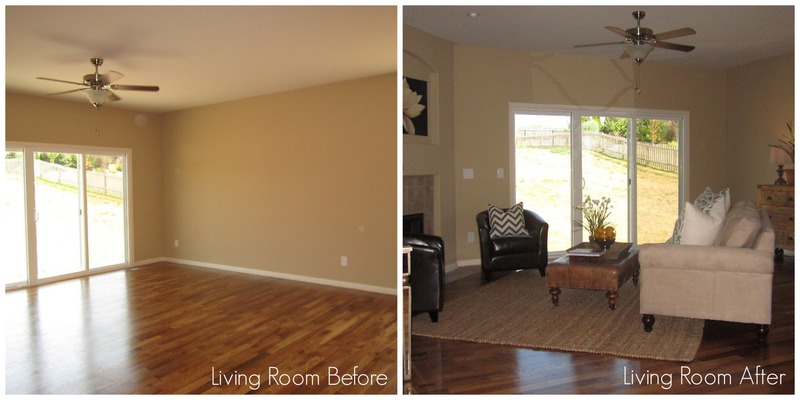 Which home staging projects are good to DIY and which projects should be left to the pro? Projects that are good DIY are usually painting, perhaps tile replacement and sometimes minor electrical with updating light fixtures. Depending on the homeowners background, experience and expertise, or that of their close family and friends, many of the projects that create a big impact for change can be done without professional help. An easy and great impact project as well for the homeowner, is to make sure the yard is cleaned up and has great curb appeal. Something as simple as cleaning windows if they are easily accessible make a huge difference on a sunny day when the house is being shown. Simple things like sweeping, raking, mowing and adding some colorful flowers to pots along the front door, are always a warm welcome to the buyer. The projects that should be left to the pro would be anything that would require an inspection (plumbing, electrical), roofing work, foundation issues, etc. Anything that not done properly will be an issue for an appraiser. 4. When is your busiest time of year? The busiest time of year is usually the spring time. Most buyers want to be in a new house by summer and be ready in the fall with schools for the kids. With the market the way it is, and prices still pretty reasonable and less inventory available, it’s been pretty consistent. The only time I can say when it’s a noticeable slow down is usually around the holidays (late November and December) and then again in August when kids are going back to school or families are out on their last vacation before the new school year. Those times of the year, families usually don’t want the added stress of having their homes on the market if they don’t have to. 5. How much time do your projects usually take to complete? How much time should a homeowner allow for a professional staging project? Each project varies. Some are simple consultations/working session. Within 2 or 3 hours a house can be completely transformed with simple things like editing furnishings, rearranging furnishings, creating a better flow, making sure each room has a focal point, de-clutter, pictures and mirrors are hung at the right height, put away collections and personal items, etc. These changes can add so much value in seeing the true potential of the space, showcasing the architectural features of the house, focal point in each room and appealing to the buyer demographic which in turn will be adding thousands of dollars to the homeowner’s market value. Other things that homeowners can do on their time would be to clean and declutter closets, drawers, cabinets. Simple things like that, having those spaces organized allows a buyer to see there is enough storage space. When a closet is overflowing, a buyer will think it’s just too small. If the staging requires more extensive attention which would include painting, repairs, new installations, etc. that can take several days to several weeks depending on the scope. Each project varies based on the condition of the house, the budget involved for repairs and what is needed to do to make it appeal to the buyer. 6. 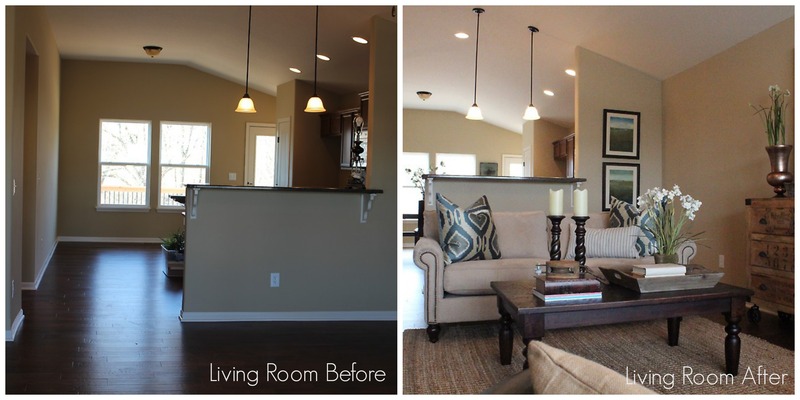 In your estimate, how often does a home need an all-over staging versus just focusing on particular rooms? With an owner occupied home to stage, every house and every room can benefit with staging to some degree. Even if it is something as simple as decluttering or rearranging existing furnishings. Some rooms may take a few minutes and others much longer but having an unbiased eye and professional opinion results in a homeowner getting the highest price and selling in the shortest amount of time. The statistics show staged homes continually get 7-10% more than non-staged homes and sell much quicker, and at times, resulting in multiple offers some over asking price depending how much it appeals to the demographic buyer. 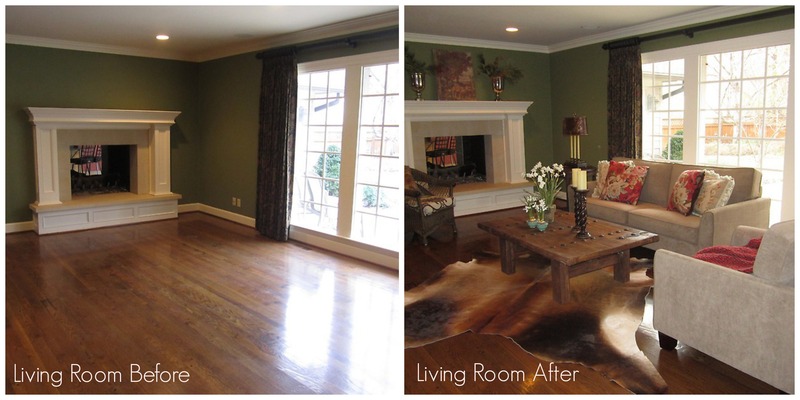 With vacant home staging, typically it’s the rooms that will give “the biggest bang for the buck” that I stage. A buyer will decided within 15 seconds of being introduced to a property whether or not he or she has continued interest in seeing the house. They know immediately if the house could be a good fit for them based on their first impression. It’s important to look at the house through a buyers’ eyes and what they see in that first 15 seconds. Usually it consists of the living room, dining room, and kitchen. These are usually the most important rooms for a buyer for living in the house. In addition to this, if there are other rooms that offer any type of challenge with size, shape, layout, unique architectural details, we would recommend staging those rooms as well. If a room is challenged, a buyer will have a difficult time wondering how to use the space or if their furniture (eg. bedroom) will fit in the space. Ninety percent of buyers are not able to visualize a space or figure out how to make their furniture work in the space. By showing them, they now have a better idea of how their furniture will fit in relation to what’s there and where to put their furnishings and make it work. This no longer becomes an objection to them. 7. Which home improvement projects provide the best return on the dollar at time of sale? The best, easiest and least expensive home improvement project a homeowner can do would include fresh, updated, and relevant paint colors. Updating light fixtures, fans and hardware make a huge impact as well. Not only will it look more aesthetically pleasing a buyer won’t focus on the “dated” look of the house which then in turns allows them to start thinking about all the other “dated” items such as roofing, mechanical systems, plumbing, etc. These are all big ticket items that will be a huge expense to a buyer if they start thinking that they’re older. By updating the aesthetics, a buyer doesn’t go down that thought pattern. They instead are focused on the things that appeal to them rather than all the things that would be problems. In addition to that, any money spent on kitchens and baths always warrant a return on investment. Kitchens still sell homes. Decisions to buy a home are still made on the look, function and feel of the kitchen. With that said, baths that are clean, updated, functional and modern will appeal to all buyers. Buyers are willing to pay more for a house that is move in ready. Families today are too busy and overwhelmed with everyday life to take on these projects for the most part. Major renovations or updates a buyer may be forced to think about can deter them from buying that house and it will be easier for them to just move forward and look at the next house. When items need to be updated or replaced, it’s in the homeowners’ best interest to do that themselves. In a buyer’s mind, they will calculate the cost of improvements 3 to 5 times of what the actual cost will be. For example, if the carpet is stained and outdated, a homeowner can probably replace it for $1000 but if it’s not done, a buyer will look at that carpet and in their minds think “this will cost $5000 to replace the carpet in this room.” When they think that, they immediately deduct that amount from what they feel will be a fair market price for the house. By having it done, and move in ready, not only will it appeal to the buyer more, they prefer move in ready. A home that looks it’s best will make a buyer believe that it has been well maintained. This in itself, allows a buyer to feel more comfortable in making their best offer on the house. 8. What’s the number one mistake homeowners make when trying to do their own home staging work? The number 1 mistake for a homeowner to do their own staging is the fact that they are too close, too personal to the space itself. They can’t be objective. They are too personally attached and no matter how pretty or nice their home appears to them, it has to appeal to the buyer. It no longer is “their” house but it needs to be marketed to appeal to the new buyer. After having been in a house for many years, they get used to it, to their style, to the flaws and imperfections that any house may have. They have to think like a buyer and most homeowners can’t do that because it’s too personal. Want to find a professional home stager near you? Find one today on Porch. Helen Bartlett, from Refined Interior Staging Solutions, is a RESA Pro and Certified Home Staging Specialist. 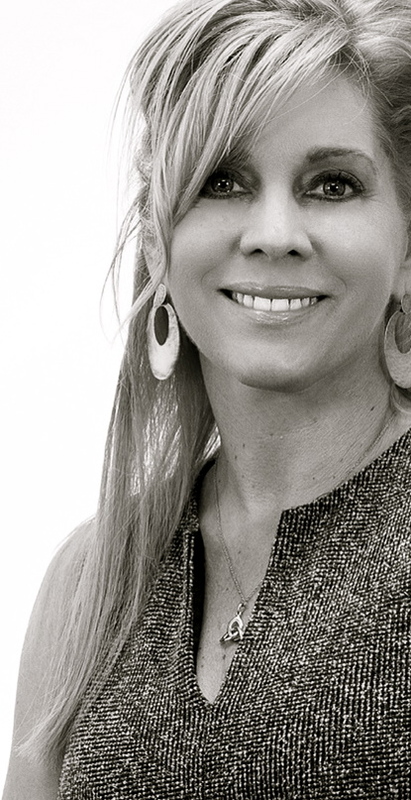 She was named 2013 RESA Top 10 Rising Star Professional Stager in North America and is based in Fairway, Kansas.